Indirasite: The importance of World Indigenous Day! The importance of World Indigenous Day! million indigenous people are estimated in the world residing in the 90 different countries. They are assumed to speak 7,000 different languages and deserve 5,000 cultural orientations respectively. This day is the day, which observes the educational, health and sustainable development of the indigenous people of the world throughout the year. Indigenous people are suppressed and they are far behind in the education, political and all other main streaming activities. They have contributed to the world heritage, retaining their diverse cultural, social and economic occupations. Their existence is distinct and unique in the dominant societies. They have been fighting for their rights on their own land and equality in available resources. They are among the most disadvantaged groups in the world. Recognizing their vulnerability, the international communities have discovered some measures to protect their rights and maintain their existence with dignity and respect. It has been a decade since the declaration of the Indigenous rights, but they have been facing many challenges yet. Various international working groups are involved in order to protect their rights and against the discrimination and to protect their rights as the fundamental human rights. Though there are many changes have been seen during this decade, the vulnerability still exists. They are still the victim of the racism, discrimination and unequal access to the available resources. The majority of the people are under the poverty level due to the loss of their land rights and identity crisis on their own heritage. The indigenous women have been facing the double discrimination in the world first, being as women and secondly as indigenous women. The United Nation has declared the indigenous rights, not implemented all the ways as what it supposed to be and their exposure has not over yet. 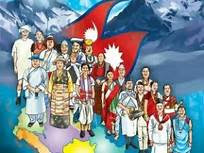 Every year this day evaluates the achievement of the human rights of Indigenous people over their land, development on their individual lives and their education along with their health and safety how the governing bodies of the different nations have been playing their roles in order to enhance their rights and to practice and promote their cultural identities. People around the world gather every year gather for the meeting which is held by the United Nation Permanent Forum of Indigenous Issues New York, which has strengthened the greater respect and their existence among the world.